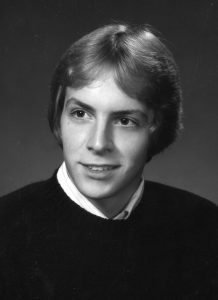 Jon A. Woodworth, 51, of Royal Oak, died peacefully surrounded by his family at William Beaumont Hospital in Royal Oak. Jon had a zest for life and enjoyed spending time with his family and friends, sitting around bonfires, watching Tigers baseball, golfing and bowling (he bowled one perfect 300 game). Jon was born in Charlotte on April 17, 1967 to James A. Woodworth, Sr., and the late Joanne I. Woodworth (Edwards). He graduated from Lansing Sexton High School in 1985. He was a master electrician, most recently working for the City of Livonia. In 2004 he married Tammy Lea, and she survives him. Also surviving are his two stepsons, Eric (Lisa) Reichelt, and Bradley Reichelt; two granddaughters, Raelyn and Jolene Reichert; his father, James A. Woodworth, Sr.; brother, James A. Woodworth, Jr.; sisters, Ami (Jacqueline) Woodworth, and Anissa (Patrick) Hanley. Jon had numerous nieces and nephews he enjoyed spending time with, Trey and Caden Woodworth, Jenna Woodworth, Emily, Foster, Halen, and Griffon Rice. He was predeceased by his mother, Joanne in 2016; his grandparents and numerous aunts and uncles. Funeral services were held Tuesday, April 9, 2019 at Gramer Funeral Home in Clawson, Mich.
John Douglas Martis, III, 83, of Potterville, died peacefully on Thursday, April 4, 2019 in Charlotte. John was born on March 16, 1936, in St. Johns, the son of John Douglas and Ann (Durkovic) Martis, Jr. He graduated from Olivet High School in 1953 before going to work in various capacities. In his early days, he drove truck for Schafer’s Bakery and worked construction. He eventually entered into car sales, working at many notable Oldsmobile Dealerships in the Lansing area, Albion Ford, and eventually founding Martis Auto Sales in Lansing. In 1983, he purchased Martin Jeep Eagle with two locations in Charlotte, which he owned and operated until his retirement. He is a 50-year member of the Potterville Masonic Lodge, and was well known throughout the community. Throughout the years, John owned several sulkie racing horses and enjoyed traveling the state to various races. Many will remember his sponsorship of Charlotte’s Frontier Days. He enjoyed time spent with his children riding snowmobiles around the house and boating with the family at the lake. John was a big time casino guy, and loved gambling trips with friends. Above all, John loved his family. He is survived by his children, Scott (Cathleen Johnson) Martis, Shari (Craig) Engle, Sandi Martis, and Shannon Martis; grandchildren, Jena and Jodi Martis, Richard Whitbeck, Dartanion (Sandra) Thomas; great-grandchildren, Audrey and Braylon Whitbeck, and Treaden Gallert; step-granddaughter, Avery Engle; sisters, Dorothy (James) Wirt and Betty (Jim) Dent; and several nieces and nephews. He was predeceased by his wife of 39 years, Daune Martis; sister, Irene Coats; and his parents. Funeral services were held on Tuesday, April 9, 2019 at Pray Funeral Home in Charlotte, with Pastor Michael Bater officiating. Interment followed at Benton Twp. Cemetery. If desired, the family suggests memorial contributions to Eaton County Humane Society or the Masonic Lodge #367. 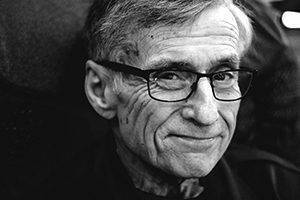 Friends and family are encouraged to share memories of John’s on his tribute page at PrayFuneral.com. 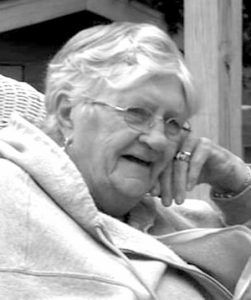 Marilyn June Rochester of Eaton Rapids passed away April 9, 2019 at the age of 82. She was born in Jackson on July 2, 1936, the daughter of Ernest and Thelma (Throop) Denton. Marilyn was a member of the Old Timers Radio Club in Arkansas. Her hobbies included making quilts and clocks, crafting and working out. Marilyn is survived by her children, Rustie (Sherry) Hiither, Teresa Chapman, Jackie (Brad) Coontz, Kelly (Rod) Paksi, Cheryl Lei Rochester, Dennis Rochester, Laurie Croy, all of Eaton Rapids; numerous grandchildren and great-grandchildren; brothers, Ed (Cathy) Clough and Phillip (Jenny) Hutchison; sister, Carolyn (George) Wardlaw. She was preceded in death by her husband of 52 years, Wilson; son, Dennis Hiither; daughter, Peggy Hiither; granddaughter, Melinda Carothers; grandson, Jeff Hiither; sister, Janet Clough and brother, Gary Hutchison. Memorial services will be held 11 a.m. Tuesday, April 16, 2019 at Mills Funeral Home, Shelly-Odell Chapel, located at 518 S. Main Street in Eaton Rapids, with visitation one hour prior to the service. For those desiring, memorial contributions may be made to Eaton Community Palliative Care. Online condolences may be placed at millsfuneral.com. 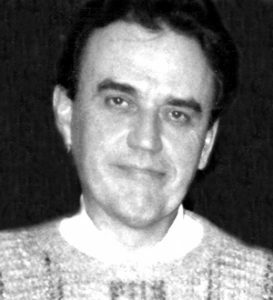 Russell Paul Laverty, 72, of Vermontville, passed away on April 2, 2019 at home with his loving family. Russ was born in Boston, Mass. on November 28, 1946, the son of the late William and Mary (Lonergan) Laverty. He attended school at Airport High School in Carlton, Mich., graduating in 1964. He married his childhood sweetheart, Bonita (Leonard) Laverty on September 11, 1965 at St. Patrick Catholic Church in Carleton. Russ then attended Michigan State University, graduating with a B.S. degree in Transportation Planning in 1969, he also graduated from ROTC as a second Lieutenant in the U.S. Army. Russ served 4 ½ years on active duty stationed in Heidelberg, Germany where he was a company commander of a tank brigade. Russ’s two sons (Dan and Jeff) were born in Germany. After returning home to Lansing, Captain Russell Laverty transferred out of the regular Army and into the National Guard where he served another four years. After taking graduate courses in transportation planning at MSU, Russ went to work for the State of Michigan, where he was assigned to start and support 12 bus systems in the southwest corner of Michigan, from Battle Creek to Benton Harbor. Russ worked for the state for 27 years, taking early retirement at age 55. After retirement he worked on his family farm and as the Township Supervisor of Vermontville for 20 years. In 1977, Russ and Bonnie, with their three children (Amy, Dan, and Jeff), settled in Vermontville, living on a small farm where they raised crops, sheep, and beef. This kept them busy on most weekends. However, they still found the time to take their family camping in Northern Michigan, and an annual trip to Cedar Point, along with a couple trips to Disneyland. On their 30th wedding anniversary, Russ and Bonnie went on a trip to Hawaii and on their 40th wedding anniversary they took a trip to Alaska. When their moms were in their 80s they took them to Boston, Mass., and Las Vegas, N.V. for vacations. Russell served his family, community, and country. He was a Cub Scout Leader for four years and a 4-H leader teaching woodworking for 27 years. He taught CCD at St. Cyril’s, served as Vermontville Township Supervisor for 20 years, and was active in the Lions Club helping with community programs. Russ is survived by his loving wife, Bonnie Laverty of 53 years; also survived by his daughter, Amy (Adam) Meeker; and two sons, Dan (Cheri) Laverty, and Jeff (Robin) Laverty; seven grandchildren, Dan (Jessika), Brad (Stacey), Dale (Kate), Kylee, Lindsay, Juliann, Olivia; and one great-grandchild, Everly Laverty age 16 months. He is also survived by brother, William (Norma) Laverty; brother, Kevin Laverty; and sister, Cathy (Bert) Hunterbrinker. He was preceded in death by his parents, William and Mary Laverty; sister, Marie (Dave) Zak; and brother, Richard Laverty. A mass of Christian burial was celebrated at St. Cyril’s Catholic Church in Nashville on Saturday, April 6 2019, with Father Stephan Philip officiating. Interment took place at Woodlawn Cemetery in Vermontville. Memorial contributions can be made to the Eaton County Medical Care Facility in Charlotte. Funeral arrangements have been entrusted to the Daniels Funeral Home in Nashville. For further details, please visit our website at danielsfuneralhome.net. 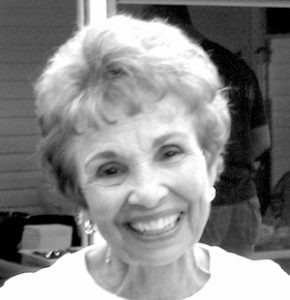 Joan Christine Minick, 81 of Charlotte, a wonderful homemaker with a great sense of humor, died March 31, 2019. She was born July 21, 1937 in Detroit to John V. and Genevieve (Dobies) Sulga, Joan grew up on a dairy farm, and learned to love animals, especially horses, during her younger years. In 1956 she married Michael Minick and they raised four children together. While Joan was primarily a homemaker, she also worked as a bookkeeper at Farm Bureau, and worked at a radio station in northern Michigan. Very talented in the kitchen, Joan made everything from scratch, including: noodles, potato dumplings, many polish recipes, and the best Christmas cookies. Additionally, she always had a beautiful garden and canned her own vegetables. In her spare time, Joan enjoyed playing Bingo, going to the casino, solving crossword puzzles, playing computer games, and spoiling her grandchildren and great-grandchildren. Joan is survived by her daughters, Michele (Robert) Bashore, Cathy Cole, Marie (Michael) McPhee; son, Tom Minick; nine grandchildren, and nine great-grandchildren; aunt, Jane Dobies; and extended family member, Randy Cook. She was preceded in death by her husband, Michael; as well as her parents. A Memorial Gathering was held on Friday, April 5, from 1 to 3 p.m. at Pray Funeral Home in Charlotte. If desired, memorial contributions are suggested to the Capital Area Humane Society. Friends and family are asked to share memories of Joan on her tribute page at PrayFuneral.com. Margaret Ann Mead, 90, of Bellevue, passed away peacefully on Sunday, March 31, 2019 at The Flower House Care Home in Nashville, following a short illness. Ann was born on August 29, 1928 in Battle Creek to William and Ruth (Arnett) McCutcheon. She graduated from Bellevue High School in 1946. On June 11, 1949 she married Verness L. Mead in Bellevue at the Bellevue United Methodist Church. He preceded her in death on August 6, 2006. Ann started working for Michigan Bell Company as a switchboard operator for 16 years and then in Charlotte for the Sears and Roebuck Catalog for almost 25 years. She later retired in 1986 from the Sears Store in Battle Creek after working for a total of 30 years for Sears and Roebuck Company. Ann was a member of the Bellevue United Methodist Church, the Bellevue United Methodist Women, Bellevue Historical Society, the Etcetera Club, the Kalamo Order of the Eastern Star, and the Leila Hospital Auxiliary. She also sold Avon products for 35 years. Ann enjoyed traveling, reading and gardening. She enjoyed being busy and out and about with her friends. She especially enjoyed time spent with her granddaughters. Ann was an avid fan of the Detroit Tigers, Michigan State University Spartans, The Ohio State University Buckeyes and Kent State University Women’s Lacrosse. She is survived by her children, Sherri (Randy) Gardner of Bellevue and Dean (Jamie) Mead of Upper Arlington, Ohio; grandchildren, Brittany (Steve) Gardner-Schofield of Royal Oak, Caroline Mead and Madeline Mead both of Upper Arlington, Ohio; half siblings, Janice McCutcheon and Tim (Linda) McCutcheon both of California; and several nieces and nephews. Family greeted friends on Wednesday, April 3, 2019 from 1-2pm at the Bellevue Chapel of the Kempf Family Funeral and Cremation Services 205 North Elizabeth Street Bellevue. Funeral services followed, with Pastor Brad Gardner officiating. Family gathered with friends following the services at the Bellevue United Methodist Church. Memorial contributions are requested to The Flower House Care Home in Nashville. Assistance with memorials is available at the Kempf Family Funeral and Cremation Services. Leave a personal message for the family and sign the online guestbook at kempffuneralhome.com. 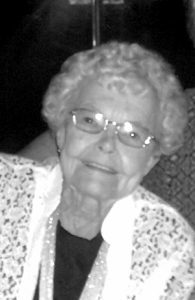 Esther Viola Homan, 80, of Bushnell, Fla., formerly of Charlotte, passed away Monday, April 1, 2019. She was born May 7, 1938, in Charlotte, the daughter of Jay and Mary (Salter) Homan. Esther was a devoted wife, mother, grandmother, and great-grandmother. She adored her family and loved spending time together. She was a passionate gardener who had a special affinity for lilacs. Esther also enjoyed genealogy, crocheting, and puzzles. Esther is survived by her children, Cheryl (Alan) Sebastian of Marshall, Richard (Christine) Clark of Floral City, Fla., Connie (Martin) Kill of Olivet, Daniel Clark of Charlotte, Penny (Nina) Clark of Bushnell, Fla.; 21 grandchildren, 50 great-grandchildren; one great great-grandchild; and five siblings. 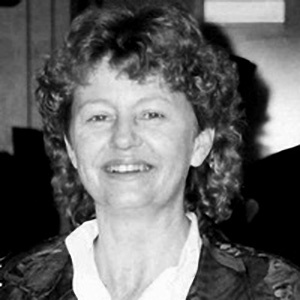 She was preceded in death by her husband, Charles H. Clark in 2017; daughter, Julie Ann Clark in 2006; one grandson; one great-granddaughter; and five siblings. Funeral services will be held on Saturday, April 6, 2019, at 11 a.m. at Burkhead-Green-Kilgo Funeral Home, with Pastor Charles Jenson officiating. The family received friends on Friday, April 5, 2019, from 2 to 4 and 6 to 8 p.m. at the funeral home. Interment will take place at Millerburg Cemetery. Those desiring, may make contributions in Esther’s honor to the American Heart Association. 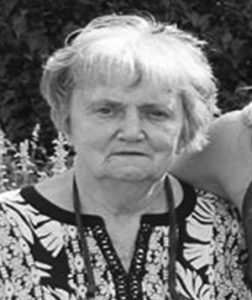 To view Esther’s obituary online or to leave a condolence for the family please visit burkhead-greenfuneralhome.com. Joyce Ann Sparks, an inspiration to live life to the fullest (many referred to her as the original energizer bunny), 86, of Charlotte died peacefully on Monday, April 1, 2019 in Charlotte. Joyce was born April 11, 1932, in Battle Creek, the oldest of the three children of Arthur and Hazel (Berry) Schenck. She graduated from Olivet High School and then received her music degree at Michigan State College (now MSU). She met her sweetheart, Kenneth Sparks, and he proposed to her at the MSC stack. They were married July 11, 1953 and together they raised five children. Joyce worked at Schuler’s restaurant for 11 years, taught music at Olivet College and taught private piano lessons to half the town of Charlotte for many years. 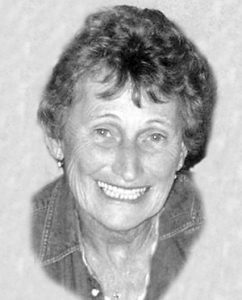 Joyce was an active, dedicated and enthusiastic leader and participant in many local groups. She was the original pianist and sang in the Charlotte Women’s Club Choir; member of the General Federation of Women’s Club Charlotte Chapter for over 40 years and was elected President and nominated GFWC Charlotte Club Woman of the Year in 2000. She served as Secretary of the Reading Is Fun Committee Program, participated in the City Beautification Program, where she planted thousands of flowers downtown; attended Health by Design for 20 years and volunteered time delivering Mobile Meals. Ken and Joyce were members of the Charlotte County Club, and the First Congregational Church. Joyce chaired the “Driving Crew” for take-out meals for the church’s annual bazaar. Joyce enjoyed going to the Michigan State football games with friends and loved snow skiing, snowmobiling, dancing, golfing, walking, exercising and working outdoors. She and Ken visited every state and traveled the world together and with their many friends. She very much enjoyed time spent with family especially when all of them including grandchildren went on a seven-day cruise. She loved playing cards and was a member of a bridge club in Charlotte for 50 years. Joyce is survived by her children, Jennie (Tom) Richardson, Jodie Leeser, Kent (Susan) Sparks, Kurk Sparks and Judie (John) Bridleman; 11 grandchildren, Jeffrey (Amber) Richardson, Kirsten (Curtis) Wondra, Kyle (Sarah) Leeser, Jay Sparks, Sophia Sparks, Kevin Sparks, Kali Sparks, Kaci Sparks, Kyan Sparks, Jacob Bridleman, Jordan Bridleman; great-grandchildren, Brock, Ella, Colton and Aubrie Wondra, Jace Richardson; brother, Lyle (Darlene) Schenck. She was predeceased by her beloved husband, Kenneth N. Sparks; and her sister, Sally Dowding. Friends are encouraged to support Joyce’s family at visitation and funeral services. Funeral services are April 6, 2019, at 11 a.m. at First Congregational Church in Charlotte, with Pastor Curtis Demars-Johnson officiating. Visitation was Friday, April 5, from 2 to 4 and 6 to 8 p.m., at Pray Funeral Home in Charlotte. If desired, the family suggests memorial contributions to Sensations Memory Care or First Congregational Church of Charlotte. Friends and family are encouraged to share memories of Joyce on her tribute page at PrayFuneral.com. 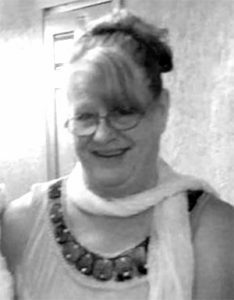 Debra Sue Wolf of Springport passed away March 29, 2019 at the age of 64. Debra was born in Albion, December 23, 1954, the daughter of Albert and Virginia (Parker) Taylor. She graduated as Valedictorian from Springport High School Class of 1973, played the clarinet in the band and worked for Triangle Plumbing for 46 years. Debra was a member of the VFW auxiliary in Springport, was an avid reader, enjoyed gardening, knitting, crocheting and being at the lake. She is survived by her husband, Sanford Wolf; brother, Chris (Kristin) Taylor of Charlotte; several nieces and nephews. Debra was preceded in death by her parents; brothers, Mitch and Stan Taylor. Funeral services were held Tuesday, April 2, 2019 at Mills Funeral Home, Shelly-Odell Chapel in Eaton Rapids. Those desiring, may make memorial contributions to the VFW in Springport or the Hospice of choice. Loving wife, mother, daughter, sister, grandmother, an aunt, Corrina Ellen (Rogers) Bates was born September 25, 1956 to the late Edward and Marjorie Rogers. She graduated from Lansing Eastern High School, there she met her high school sweetheart, Larry Bates. They were married in 1976, and shared 42 amazing years together. She worked at Whitehills Healthcare Center as a CNA for 15 years, and finished her career as the Activity Director. She was a devoted member of Crossroads United Brethren Church of Charlotte, for many years. She accepted Jesus when she was very young. She enjoyed camping, spending time with her family, arts and crafts, and had a love for collecting and painting rocks. Leaving to cherish her memory, is her mother-in-law, Dorothy Bates; siblings, Eddie Rogers, Bill (Gayle) Rogers, Doug (Deb) Rogers, Wanda (Jeff) Bancroft; and sister-in-law, Robin (Ken) Hill; children, Timothy (Nikki) Bates, Christina Gentilozzi, Victoria (Anthony) Singleterry, Ricky(Skylar) Bates, Heavenly Bates; grandchildren, Trenton, Sedric, Emmalee, Paige, Jeremiah, Logan, Gabriella, Oliver, Alyssa, Esmeralda, and several nieces and nephews. She was predeceased by her father, Edward Rogers Sr. and mother Marjorie Ellen Rogers; father-in-law, Jerry Bates; and her husband Larry Bates. The family would like to say “thank you” to Missy and Kim, and the staff from McLaren Hospice, for their heartfelt care. A special ‘Thank you’ to her special care giver, Nikki. The family will be holding a memorial service, officiated by Pastor Michael Arnold, followed by a luncheon in honor of Corrina on Sunday, April 14, 2019, at 2 p.m. at the Eaton Area Senior Center, located at 804 S. Cochran Avenue in Charlotte.